GET YOUR DISCOUNTED TWYFORD FIREWORK & BONFIRE NIGHT ONLINE TICKETS HERE! Exclusive discounted tickets sale prices below are £6/£3/£1 excl. a small booking fee online. Physical tickets will still be available from local sales points closer to the time and on the gate. On the night tickets will cost £1 more so get them early or online. Please remember, everything purchased within the event gates provides essential funds for local charities and community organisations. Please don’t buy from unlicensed street vendors. This event has been supported by the PPL PRS charity and community discount scheme. 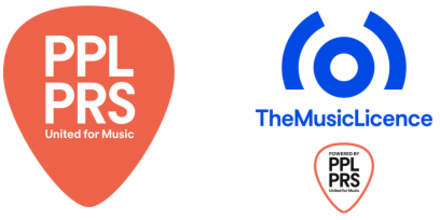 PPL PRS licenses the use of copyright music across the UK, giving businesses and organisations the permission they need to play the music they want. Checkout our Roundtable website and Facebook page for more info on our activities.